Our trip started with an idea to spend Susi’s holidays, that she sort of got “for free”, helping someone and traveling at same time. We decided to go to Namibia because we had a connection to Udo and Kathleen before and Namibia just seemed to be so attractive. March 9th, 2015 was the day I saw Africa for the first time in my life with my own eyes. Sounds epic but I must say airports are almost everywhere the same, the only difference here was the Ebola symptoms check. It was already late, we were pretty tired after a 10 hours flight and on the way to our apartment we did not really feel that we are in Africa. 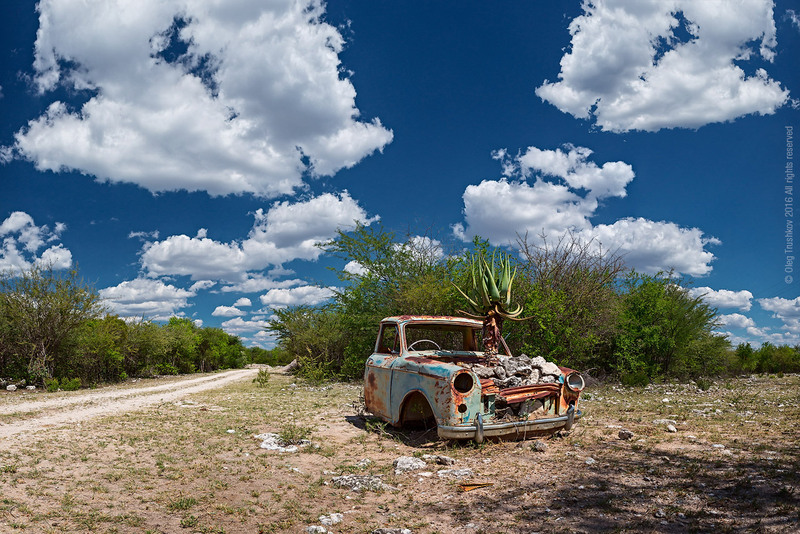 The next day has started with a long trip from Windhoek to Imkerhof and we finally realized where we are and how beautiful this country is. Everyday we saw something new, every place was so different to another. We were literally writing down all the animal that we have seen around. The list is long, trust me. I still think that Namibian sky is the most beautiful I’ve seen yet. This country is a country of contrasts, talking about nature and animals as well as social life and prosperity. It is impressive and definitely worthy of visiting. 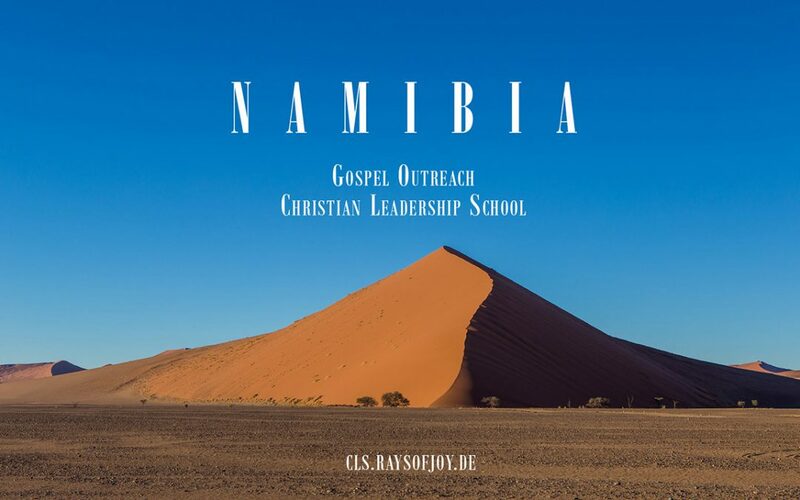 After spending some time with Udo and Kathleen at their “headquarters” in Imkerhof we went to the north of Namibia where they have established several Bible Schools. At first we came to a village called Kaisosi then to Rundu and finally to Ondangwa. These places are not touristic and there we had a chance to see what is the real life of ordinary Namibian people. It is hard and very different to “usual European lifestyle”. For example: kids could be raised by aunts and uncles or other family members just because they have sort of a kindergarten in the neighborhood and the kids could see their parents once a month or so. Once we’ve heard: “There are no strange or other’s children”. People used to look after all of them even if they are not their own. This is also why it is very common to call older people than you are as Meme and Tata (like mum and dad; I hope I have it right). We also have been called this way, to our big surprise. Educational system is very weak in this country and even after years at school many people could not count right. This makes it harder to get a good job and so on. Somehow there is a similar situation in the Namibian Christianity: there is a big leak in knowledge and teaching. Udo and Kathleen saw this problem 20 years ago and have started their work to teach and equip christian leaders in Namibia. To tell more about their work I have decided to make a short film which you can see at the end of this blog post. 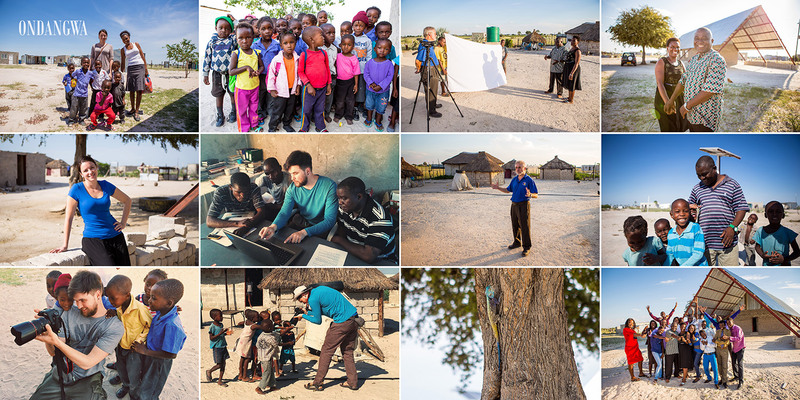 As well as filming for about two weeks I have trained a small team in Ondangwa how to use video equipment that we have brought with us. They have a Bible School there but not everyone has time to attend it so they wanted to start the first video bible school in Namibia. It was really interesting process and you could see how interested and focused the guys are. At this time Susi was helping with kids at the church’s kindergarten. In cause of her skin and hair color most of the kids literally wanted to touch it themselves. Our life is not only about us, there are so many others who might need our help. And doing so you feel like your own life getting more meaning and purpose. Udo and Kathleen have dedicated their life to help others and I have so much respect to them. 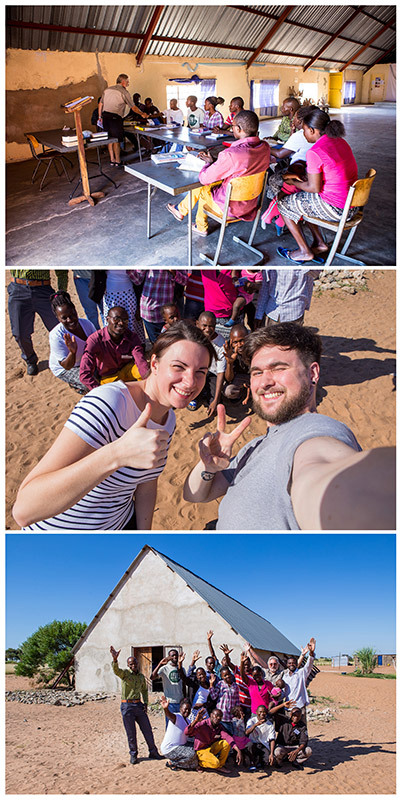 I am planing to make another blog post which will tell about the second part of our journey in Namibia. There I will show you way more pictures from the following two weeks of travel and 3000km+ driving. Follow me on social networks to get the latest news about it. Cheers and thank you for reading.